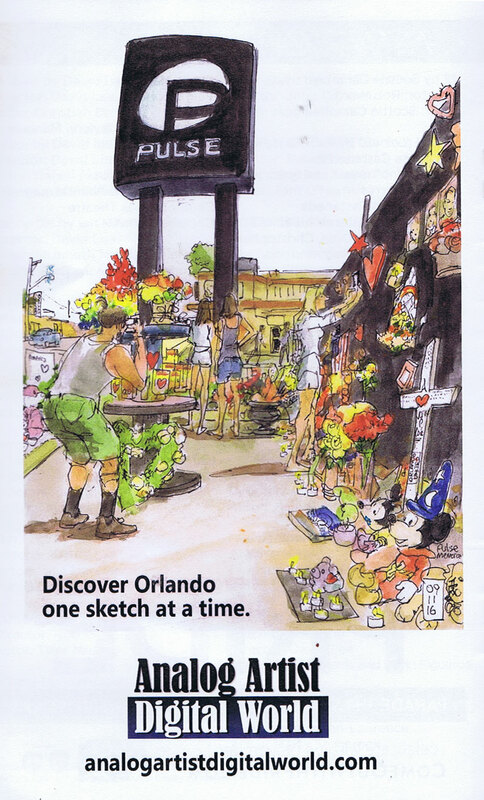 In May of 1989, The Walt Disney Company added an animation studio in Central Florida. Spearheaded by animation industry expert, Max Howard, the Florida studio grew from a crew of 40 to more than 400 in the mid-90s, before closing in January 2004. The studio was responsible for the box office hits: Mulan (1998), Lilo and Stitch (2002) and Brother Bear (2003) and contributed substantially to films such as, The Little Mermaid (1989), Rescuers Down Under (1990), Beauty and the Beast (1991), Aladdin (1992), The Lion King (1994), and many more, reinvigorating the animation industry and The Walt Disney Company. The artists and staff at the Florida studio fostered an atmosphere that bottled a type of magic that is hard to put in words, but anyone familiar with the facility can attest that working together, this team created a family that no other Disney environment has. 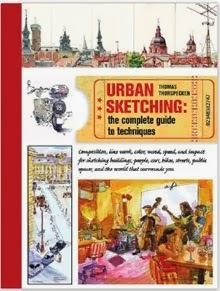 I teach an Urban Sketching class at Elite Animation Academy (8933 Conroy Windermere Rd, Orlando, FL 32835). 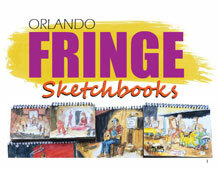 The primary goal of the class is to introduce young students to the idea of carrying a sketchbook everywhere they go. Elite was formed by a former Disney Feature Animation artist and its mission of delivering traditional and digital art courses remains true to this day. It is a place where students can build a portfolio of work should they choose to pursue a career in movie making or game design. A few blocks away from Elite, is Art of Fitness (5154 Dr Phillips Blvd, Orlando, FL) which was also formed by a former Disney Feature Animation employee named Ron Beta. 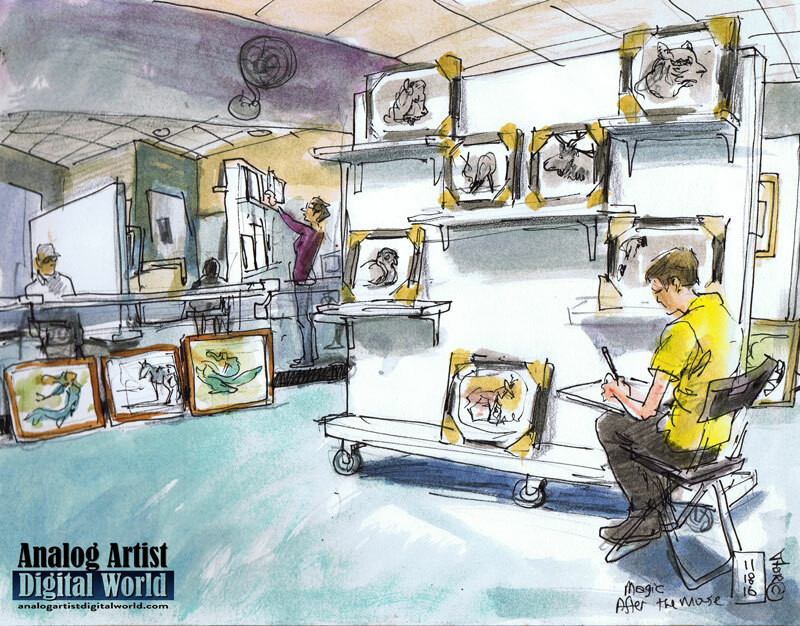 Ron decided to mount an exhibit by former Disney Artists showcasing their art since the Disney Feature Animation Studio closed in 2004. In 2004, the Orlando Disney Studio was just starting production on a new project tentatively called My Peoples or A few Good Ghosts that was about a folk artist living in Appalachia that made puppets out of re purposed parts. For instance Abe Lincoln was made from an old broom. I was slated to do the key drawings for a villainous possum and I was gearing up to find the final look of the character. I invited my Urban Sketch students to sketch the installation of the exhibit. In my sketch you can see a full wall of wildlife paintings by Aaron Blaise and some mermaid watercolor paintings by Ronnie Willford lined up at the base of the mirrored wall. I had simply framed one of my Urban Sketches to add to the show. 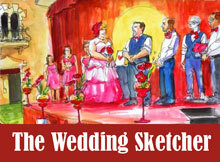 In all, twenty one former Disney Artists exhibited work in the show. When the Disney Studio closed, these artists proved that there is magic and meaning to life after the Mouse. Hopefully my students took away the lesson that working for any particular a studio isn't always the crowning moment of an art career. Every artist who remains curious is always evolving.